Welcome to The Shore restaurant located on the Bay Ny Carrickey seaside. 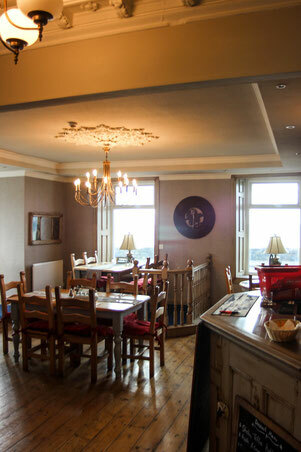 Our restaurant overlooks the dramatic sweeping beach of the South coast. We invite you to join us for lunch, dinner or just a drink on our outdoor terrace and enjoy our stunning views. On our menu you will find seafood, steak and more! Stop by today to enjoy our beer battered cod, pan fried Seabass or Ribeye steak and other freshly prepared cuisine. Our Special Menus will contain our daily specials board or any specials day we are doing from Indian Tapas night to Bonfire night and Christmas Menus. Please browse our menus and winelist by clicking the menu bar above.